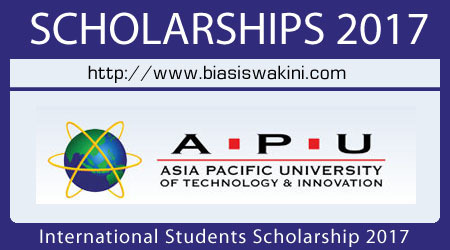 Asia Pacific University of Technology & Innovation scholarships 2017 for international students are available to new international students. The application criteria includes academic success, financial need, community involvement, sports excellence, references from instructors or employers. - Scholarships are limited to course fees only. - All other fees & expenses including project fees, registration fees, living and travel expenses, except for the course fee as determined by the scholarship award shall be borne by the scholarship holder. - Scholarship awards are not exchangeable for cash either in part or in full. - These awards are for students joining APU programmes in 2017 onwards. Current APU students are not eligible to apply. - Scholarship holders must maintain a CGPA score of 3.00 to carry forward and maintain their scholarship throughout their studies. - Students who have not obtained their final results may use their Forecast results to apply. However, their forecast results must be certified by the School. - Should the student fail to achieve the required actual results after having been awarded a scholarship based on Forecast results, the award will be rescinded. - All decisions on these scholarship awards are at the discretion of the APU Scholarships Committee, and are deemed final. - Scholarship applicants cannot change or substitute courses from one course to another. The deadline for this Scholarship applications is Wednesday, 15 February 2017. We must receive the full set of documents for scholarship application on or before this date. 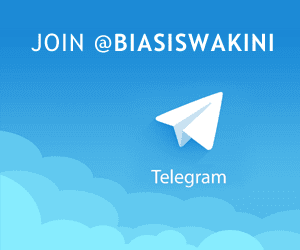 0 Komentar untuk "International Students Scholarship 2017 - Biasiswa APU University"